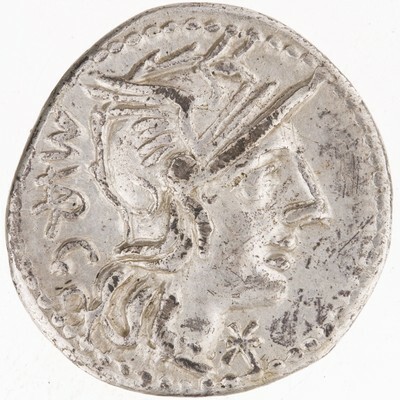 Obverse: X (crossed) M·VARG - Helmeted head of Roma, right. Border of dots. 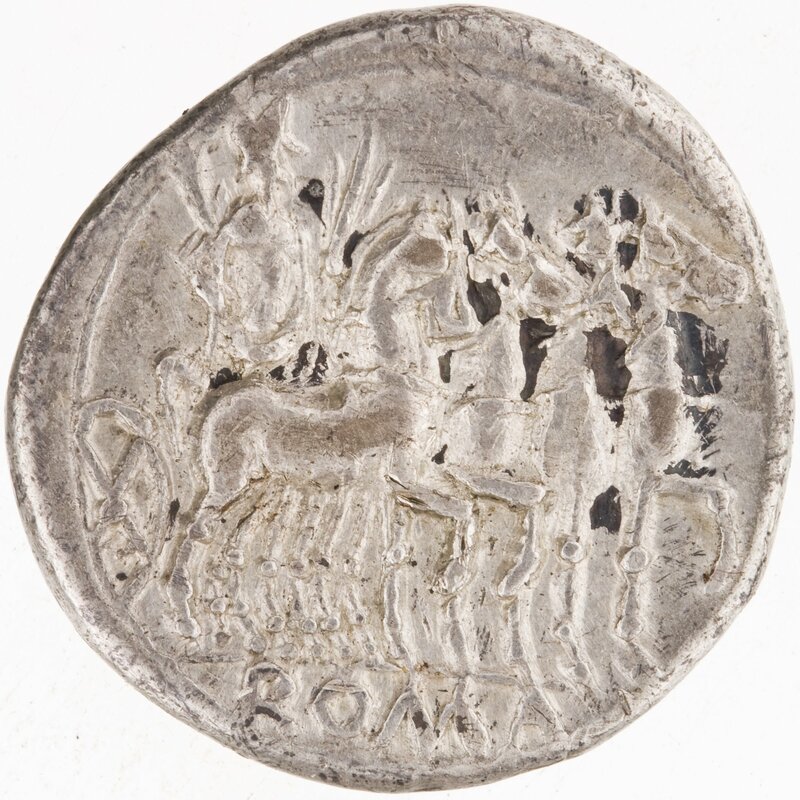 Reverse: ROMA - Jupiter in quadriga, right, holding thunderbolt and reins in left hand and branch in right hand. Line border.